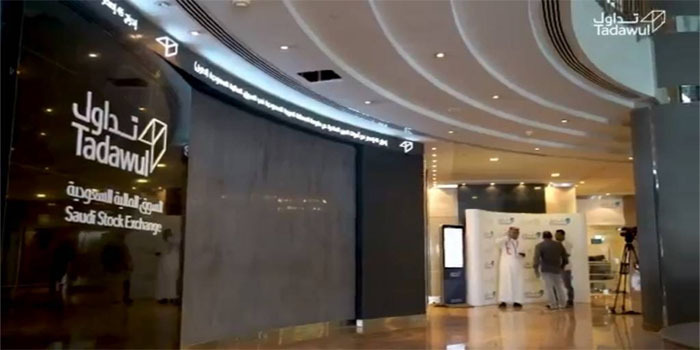 The Saudi Stock Exchange (Tadawul) closed Monday’s trading session in the green after its benchmark Tadawul All Share Index (TASI) surged 89.72 points, or 1.05%, to 8,653.16 points, recording its highest level in 30 sessions. TASI’s traded value rose to SAR 3.68 billion ($981.3 million) on Monday, versus SAR 3.04 billion ($809.87 million), while trading volume stood at 159.3 million shares, up from 135.5 million in the session before. The telecommunication services, banking, and materials sectors grew 2.64%, 1.08%, and 1.05%, respectively. On the flipside, the real estate investment traded funds (REITs) sector led losers with 0.57%. Abdullah Abdul Mohsen Al Khodari Sons Company’s stock was the best performer with 10%, while the stock of Al Alamiya for Cooperative Insurance Company was the worst performer with 1.79%. Saudi Basic Industries Corp.’s (SABIC) stock led TASI in terms of liquidity with SAR 330.72 million, while Saudi Kayan Petrochemical Company’s stock posted the highest trading volume with 16.75 million exchanged shares. In the meantime, NOMU, the main index of the Nomu secondary market, fell 3.78 points, or 0.1%, closing the session at 3,681.96 points. Baazeem Trading Co’s stock led losers with 1.01%, while Abdullah Saad Mohamed Abo Moati for Bookstores Company’s stock topped gainers after inching up 0.6%. The joint index between Tadawul and MSCI, MT30 index jumped 15.84 points, or 1.25%, to end at 1,280.98 points.